Analizza in particolare le asana sedute e le estensioni in avanti. 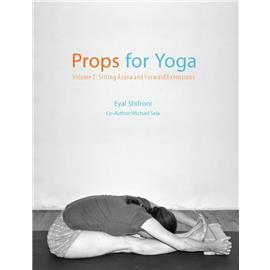 Props for Yoga volume 2: This is the 2nd volume in a series of books presenting the use of props in Yoga practice. Following the success of the 1st volume in the series, this book focuses on sitting asanas and forward extensions. Both standard and innovative uses of props are shown. Clear step-by-step instructions are provided along with ample photos, comments and tips. In addition, each family of asanas is preceded by a brief introduction incorporating excerpts from B.K.S. Iyengar and other Yoga teachers and the author's personal perspectives.